“It’s one thing reading about detectives, quite another trying to be one. I’ve always loved whodunnits. I’ve not just edited them. I’ve read them for pleasure throughout my life, gorging on them actually. 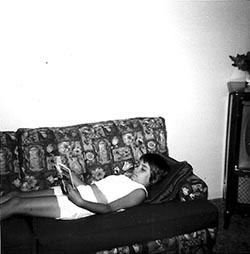 You must know that feeling when it’s raining outside and the heating’s on and you lose yourself, utterly, in a book. 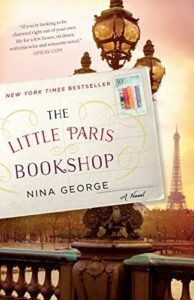 You read and you read and you feel the pages slipping through your fingers until suddenly there are fewer in your right hand than there are in your left and you want to slow down but you still hurtle on towards a conclusion you can hardly bear to discover. 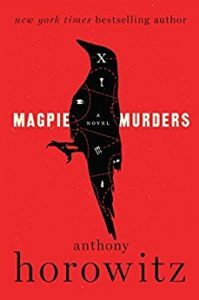 That is the particular power of the whodunnit which has, I think, a special place within the general panoply of literary fiction because, of all characters, the detective enjoys a particular, indeed a unique relationship with the reader. Just like a kid at Christmas, we wait and wait — and then, all of a sudden, it’s here! 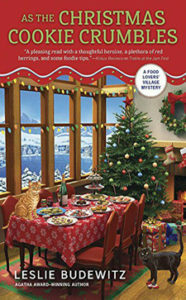 Launch Day for AS THE CHRISTMAS COOKIE CRUMBLES, the 5th Food Lovers’ Village Mystery. More details, including an excerpt and buy links, on my website. Here at the Yellow House in the Hundred Acre Wood, we’re all a-flutter over the new book, As the Christmas Cookie Crumbles, which releases officially on June 8. Read more about it, including an excerpt, on my website. Check my tour schedule there, too—in June, I’ll be in Seattle, Bigfork, Augusta, Billings, and Bozeman, and in July, I’ll be in Polson and Missoula. I would love to see you. So for June, my quotes all touch on the role of books and stories in our lives. Writing—storytelling—is the only way I know to explore the world. Thank you for taking the journey with me.